Long, long ago in a faraway northern land, a miracle took place. A humble, kindly woodcutter and his wife were magically transported to the kingdom of the elves at the Top of the World, and the legend of Santa Claus was born. From the team that brought the Superman blockbusters to the screen comes a story to stir the imagination-and warm the heart. 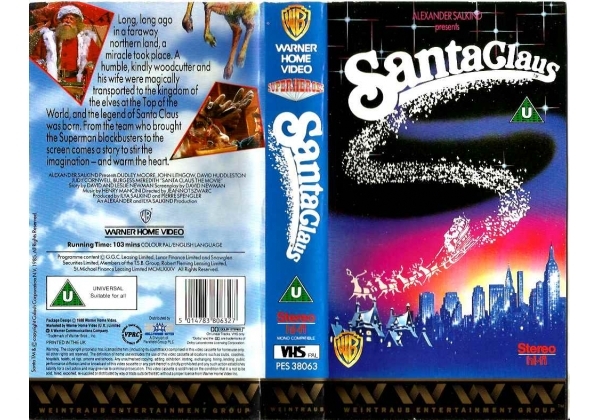 Or find "Santa Claus: The Movie" on VHS and DVD / BluRay at Amazon.